Home » News » Turn the January Blues to Gold! January is all about making a positive change for the New Year. Whether that’s by taking part in a challenge, volunteering, or connecting with your local community. Whatever you are planning, consider supporting LinkAge Network this year and help us make a difference to the lives of older people. LinkAge Network is a Bristol-based charity which has been established since 2007. 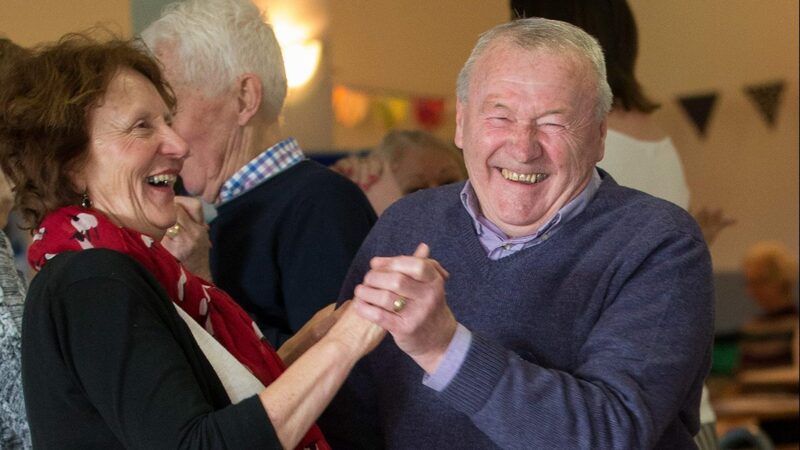 We deliver a variety of projects and run a community Network which strengthens communities, improves health and wellbeing, and reduces social isolation and loneliness among older people. This January why not set yourself a challenge and support LinkAge Network at the same time! Take part in a fundraising challenge, host a fundraising event in your community, or with your colleagues. We have lots of fun ideas to get you started. From taking part in a local marathon, giving up chocolate, alcohol or social media for the New Year, to hosting a safari lunch with your colleagues. Would you and your colleagues like to kick 2019 off to a positive start? Would you like to support a local cause? If you would like to support LinkAge Network throughout the month of January, then click here for a copy of our Fundraising pack. The fundraising pack is filled with ideas and resources to get you started! Once you have decided how you would like to support us, get in touch with our fundraising team. We will be encouraging people to use the hashtag #Januarybluestogold on social media to inspire others and to let people know what local businesses and organisations are doing to make a difference. For further information about LinkAge Network and ‘Turn your January Blues to Gold’ email fundraise@linkagenetwork.org.uk. In the meantime, we wish you a fantastic start to the year, and most of all, we hope you will have fun supporting our January Blues to Gold campaign!